Atmospheric neutrino experiments were the first ones to discover 20 years ago the phenomenon of neutrino oscillations, to establish existence of non-zero neutrino mass and large lepton mixing. Studies of atmospheric neutrinos are used to search for new physics beyond the 3-neutrino paradigm, including sterile neutrinos, non-standard neutrino interactions, effects of violation of fundamental symmetries of Nature. Now the field moves to the next phase of high-precision studies, which will enable us to effectively use atmospheric neutrinos as a tool to determine the mass ordering, octant of the 2-3 mixing angle and the Dirac CP-violating phase. In this connection, knowledge of the atmospheric neutrino fluxes at percent level is needed, which requires higher precision determination of both cosmic ray fluxes and neutrino-nucleon cross sections, as well as a better control over systematics. Understanding of atmospheric neutrinos is essential to estimate background for diffuse supernova neutrinos, proton decay, future dark matter direct/indirect detection experiments, and high-energy cosmic neutrinos. 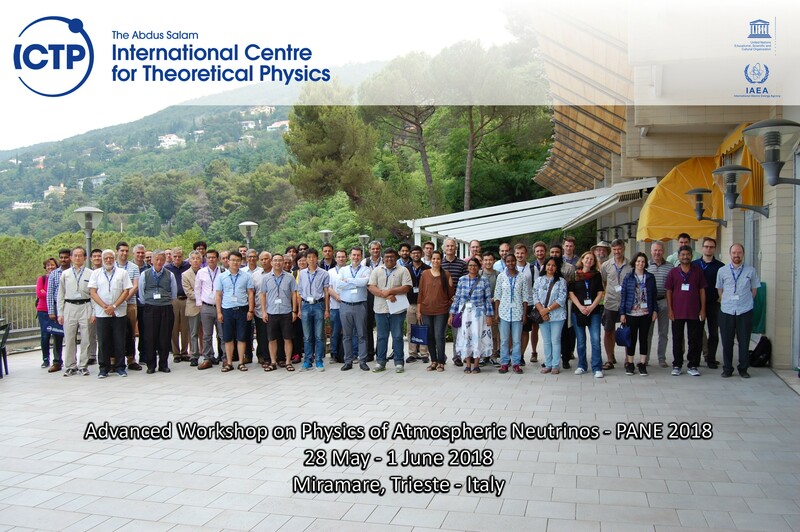 The goal of this workshop is to further explore physics potential of atmospheric neutrinos and support the physics case of new experiments on atmospheric neutrinos. We plan to bring together leading experts in both theory and experiment as well as young researchers to assess the state-of-the-art knowledge in this field and to foster further theoretical, phenomenological, and experimental studies in atmospheric neutrino physics. The programme will be mainly composed of the invited talks. Some time will be allocated for the oral presentations selected from submitted abstracts. It will be possible to display posters during whole time of the workshop. Papers which will not be selected for oral presentations can be presented as posters. Ample time will be given for discussion. The Programme is Preliminary and some minor changes are possible. Invited Speakers do not need to apply online.